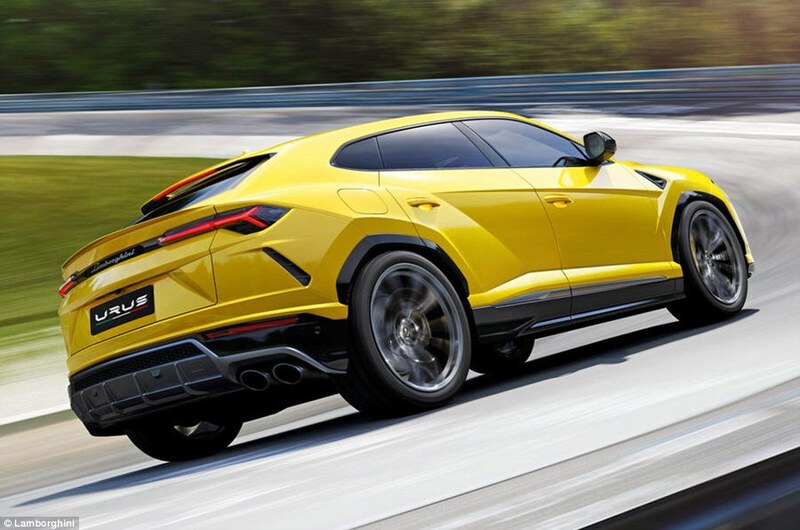 New Lamborghini SUV! 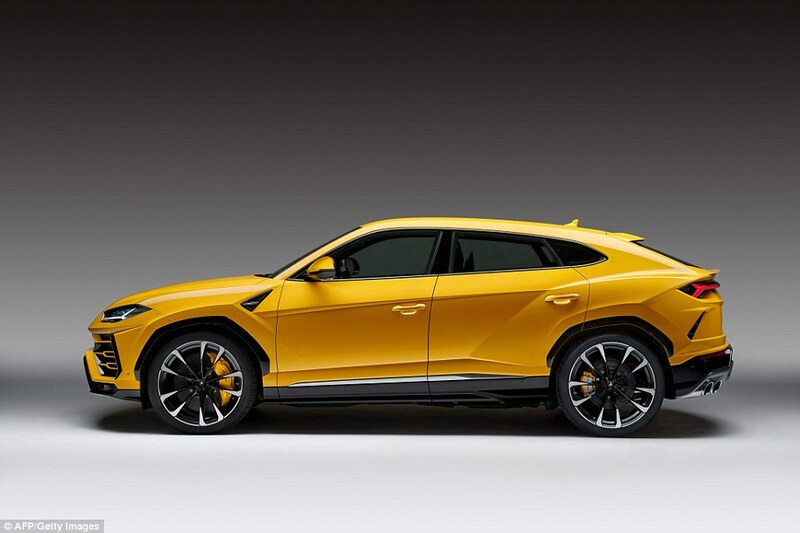 Meet the Urus. 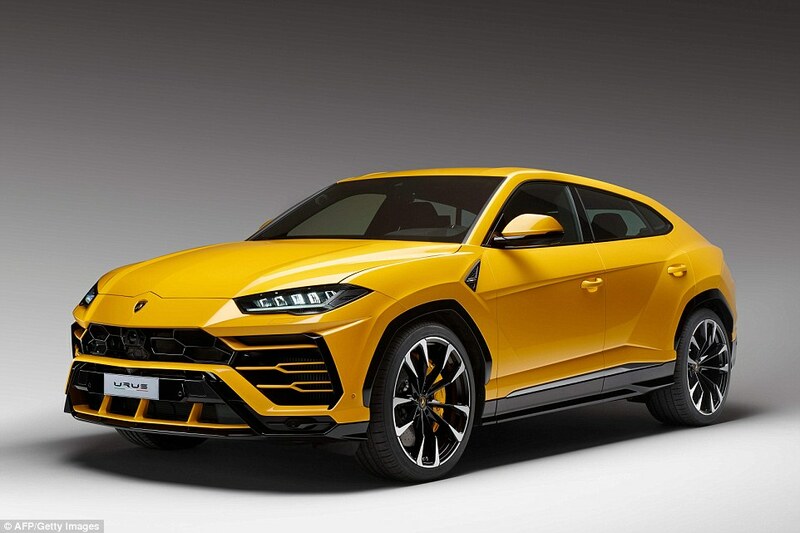 The Urus is Lamborghini’s long-awaited re-entrance into the SUV market. It’s also the perfect representation of its 55-year journey from seller of mad things with an allergy to ergonomics, to an ultra-modern supercar manufacturer with the quality, reliability and business sense of Audi. Few would argue the latter is a bad thing when it spawns a family of supercars that you can actually see out of and start on the button every time… but the big fat question here is, is a spacious, high-riding, five-seater family SUV pushing the Germanic sensibleness too far? Let’s start with the way it looks. No doubt you made your mind up within seconds of seeing it, but hopefully we can agree on one thing: of the Porsche Cayenne, Bentley Bentayga and Audi Q7 bunch with which it shares its steel and aluminium MLB platform, it’s not pug-ugly like the Bentley, and has more presence than the other two put together. 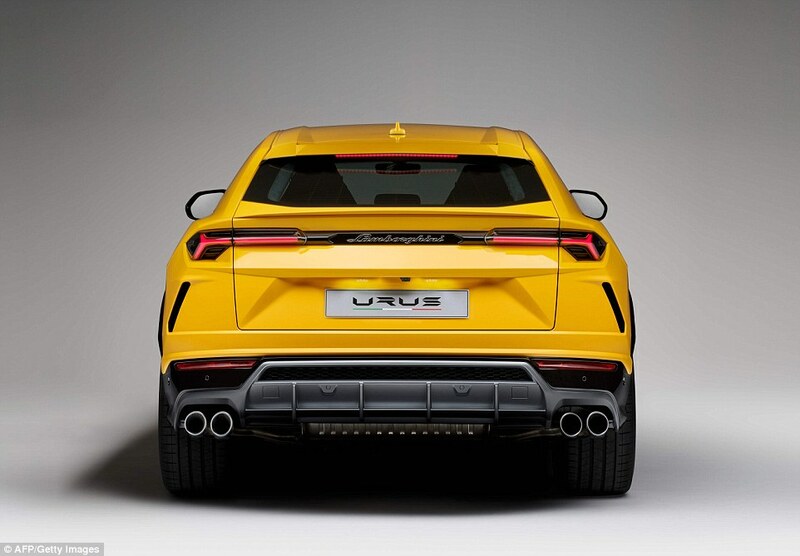 In the interim five-and-a-half years since we saw the Urus concept, it’s become a little larger, rounder and wider of arse, but the overall shape is surprisingly faithful. There’s the same arrowhead bonnet shut line, but beneath that there’s a lot more going on. Layer upon layer of mesh, intakes and splitters with a cycloptic sensor housing parked in the middle of it. You’ll notice the yellow car here is maximum jazzy – fortunately, more subdued specs, like the grey car with mostly blacked-out elements, are available. Around the back, the concept’s tailpipes have dropped, but the small rear windscreen and full-width tail-light have survived. From this angle, perhaps more so than the front, it’s instantly a Lamborghini. 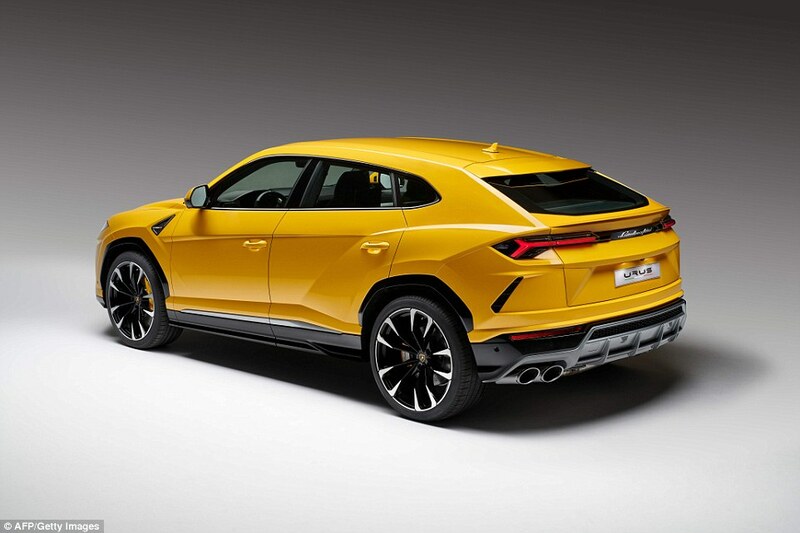 But the Urus’s real trick is to combine a downward-sloping, BMW X6-esque roofline, which keeps things pinched and muscular around the rear wheelarch, with masses of interior space. We’re talking six-footer behind a six-footer with a good chunk of leg- and headroom to spare. It also has a 600-litre boot – enough for a grown man to climb in on all fours and do a convincing impression of a large dog. 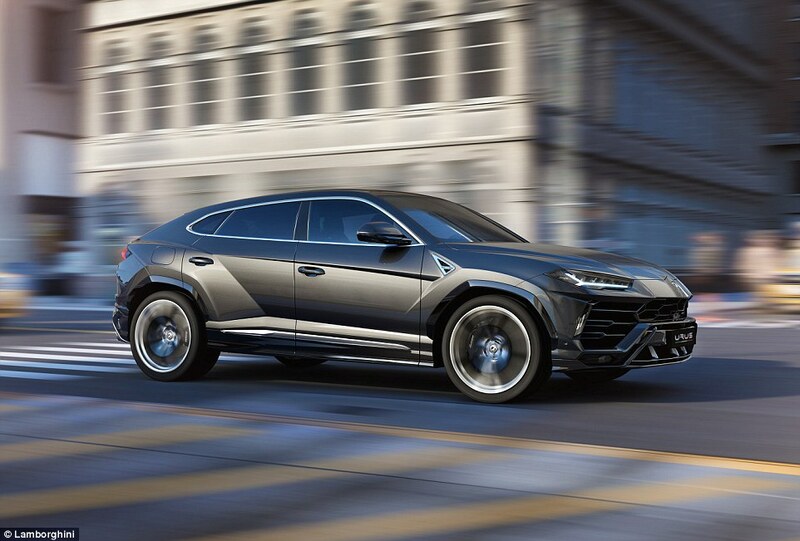 Big wheels (21-inch as standard, up to 23-inch if you must) and edgier styling than its rivals isn’t enough to earn the Lamborghini badge. For that, it must possess a vicious turn of speed, which is where 641bhp, 627lb ft of torque (available from 2,250rpm), 0–62mph in 3.6 seconds and 190mph flat out come into play. Before you start Googling furiously, the 707bhp Jeep Grand Cherokee Trackhawk also takes 3.6secs, but that’s from 0-60mph, and it trails by 10mph at the top end. 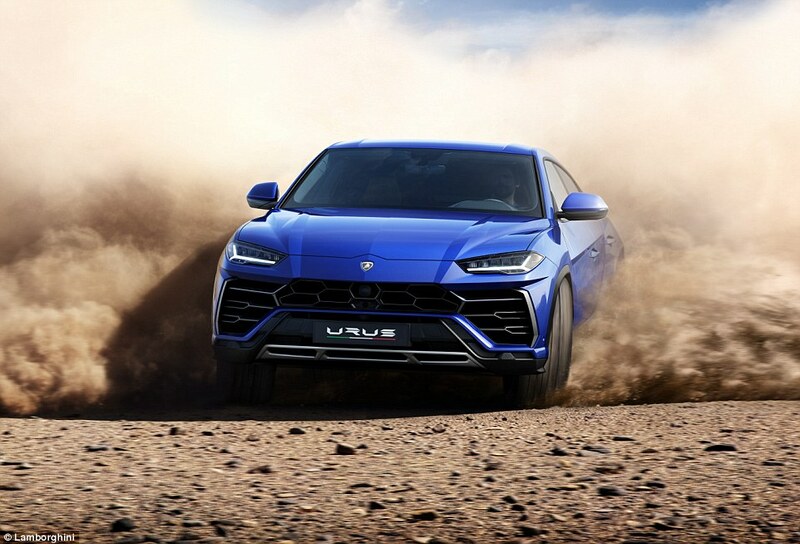 That makes the 2.2-tonne Urus officially the fastest SUV out there. Frankly, we’d be perturbed if it wasn’t. Where mild perturbing might occur is under the bonnet. You won’t find a highly strung, naturally aspirated V10 or V12 on loan from the Huracán or Aventador, but a version of the 4.0-litre twin-turbo V8 from the Bentley Continental GT and Audi RS6, connected to an eight-speed auto and redlining at 6,800rpm. If you can get over the fact that it’s more likely to woofle and rumble than bark and shriek, it’s actually a far better fit for an off-roader – offering more torque at lower rpm. 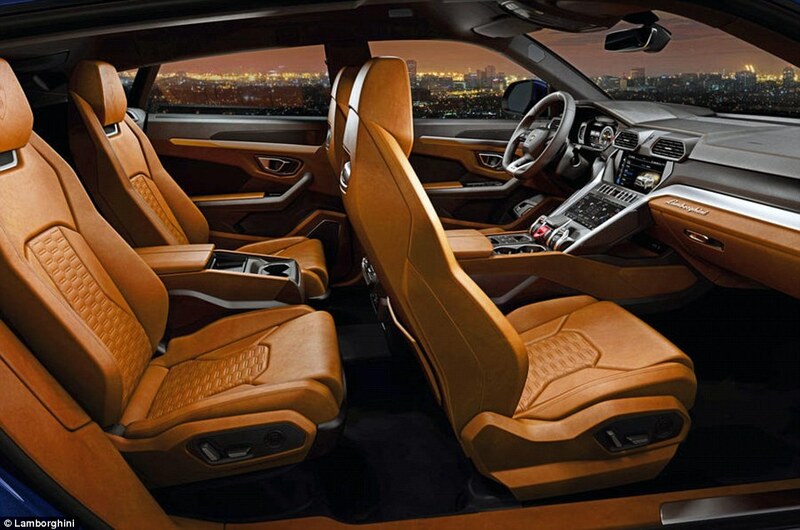 And yes, you can take your Urus off-road should you wish. 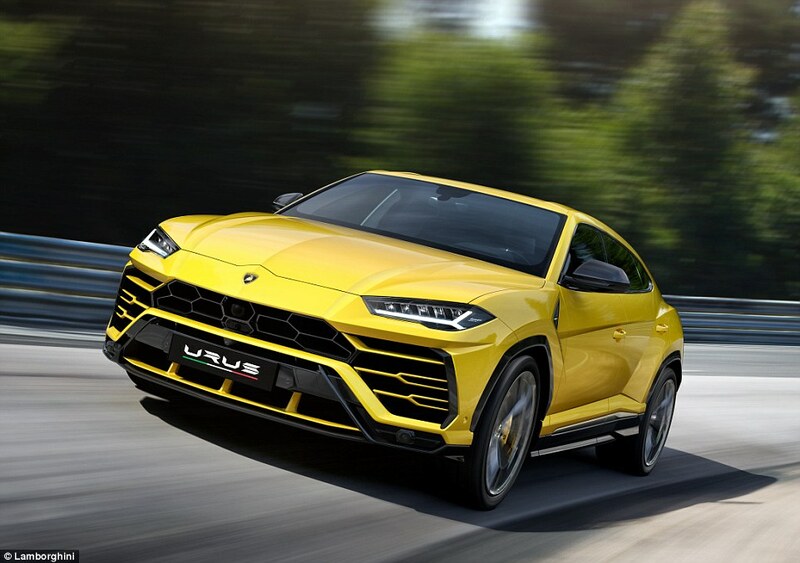 The V8’s other trick is being the most fuel-efficient engine ever in a Lamborghini (22.2mpg, 290g/km CO2) thanks in part to a cylinder-deactivation system that works below 3,000rpm and gives you 173lb ft to work with. That’s right, tickle the throttle and you’ll find yourself driving a four-cylinder Lamborghini with less torque than a diesel Ford Fiesta. But let’s not be churlish. It’s a familiar and brilliant engine ably supported by all the weight-cloaking chassis aids Lambo could lay its hands on. Firstly, the standard torque split is 40/60 front/rear (up to 70 per cent can be sent to the front, or 87 per cent to the rear as and when the conditions dictate), with active torque-vectoring from front to back axles, and between the rear tyres, via centre and rear differentials. Long story short: on loose surfaces, it’ll power oversteer, but on tarmac it should stick. And stop, thanks to standard carbon-ceramic brakes – 440mm rotors at the front, 370mm at the rear – currently the largest on any production car. Adaptive dampers work alongside an electromechanical active roll stabilisation system. It’s basically the same set-up that’s already left us stunned in the Bentayga and SQ7 – compliant in a straight line, magically flat in the corners. And then there’s the performance tech du jour, four-wheel steering, which twists the rear tyres by plus or minus three degrees, effectively shortening the wheelbase by 600mm at low speeds (by turning in the opposite direction to the fronts), or lengthening it by 600mm at higher speeds (by turning in parallel to the fronts). Getting the thing started, moving and in your mode of choice is done via a bank of industrial-sized levers. In the centre, the start button lurks beneath a flip-up cover, itself in the shadow of a palm-sized gear-selector. To the left of that is your Anima lever, used to toggle through the four standard modes: Strada, Sport, Corsa and Neve (snow), plus two optional modes: Terra (off-road) and Sabbia (sand) if you genuinely want to get grubby. Each tweaks the diffs, sound, steering, suspension, throttle and gearbox response, and raises (Neve, Terra, Sabbia) or lowers (Sport, Corsa) the air suspension accordingly. Alternatively, you can set your ideal combo of ride, steering and powertrain with the Ego switch on the right. Assume the driving position and, although physically high, you feel low, snuggled below the shoulder line. WE set about looking for some ergonomic nightmare – a lorry-sized blind spot, tortuous seats, razor-sharp trim gaps – alas, there are none to be found. The skin of this interior is very much Lamborghini – all hexagons and Alcantara – but the hardware and execution is pure Audi. Right down to the twin screen (triple if you count the instrument cluster) infotainment system lifted wholesale from the new A8. Unusually then, this is a Lamborghini, tech-wise, allowed to sit above its Bentley and Audi cousins. An indication of just how crucial this car is for the long-term health of the company, and how badly the VW Group wants it to succeed. 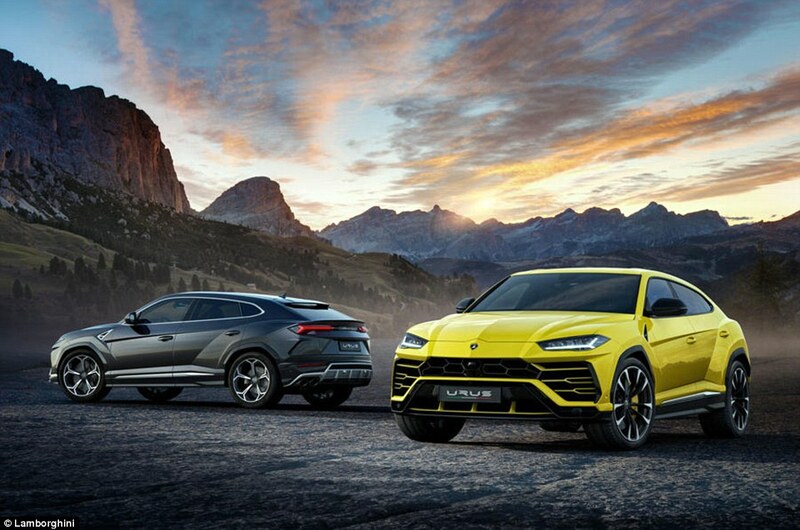 Inside and out, it’s an impressive engineering achievement, especially from a relative minnow that sold just under 3,500 cars in 2016, although Lamborghini hopes to double that with the £165,000 Urus by 2019. Picking over the spec sheet and poking around the interior is all well and good, but this is a Lamborghini and therefore needs some Lambo DNA in its bones. Can it really be both – a family van with the heart of supercar? With a $38,000 Compulsory Option which is the - 4th & 5th year warranty with 5 years free schedule maintenance. Current factory launch promotion with $55,000 COE subsidized and will be valid till end of December 2017 with $100K deposit. Spotted one today. 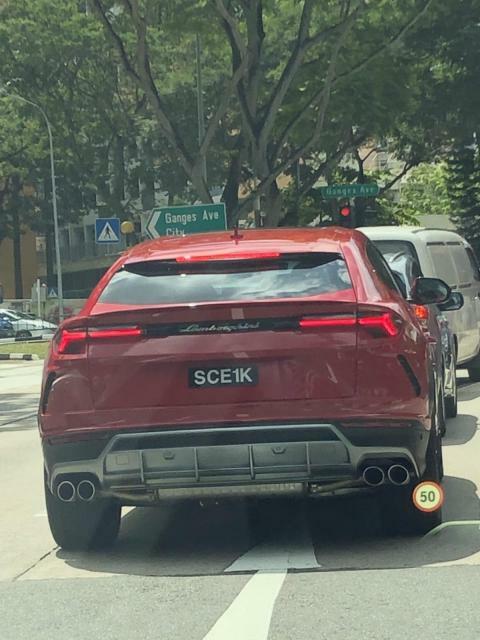 IMO, not ugly but also not the best looking SUV. Chief Combat Engineer ? SCE #1 ? 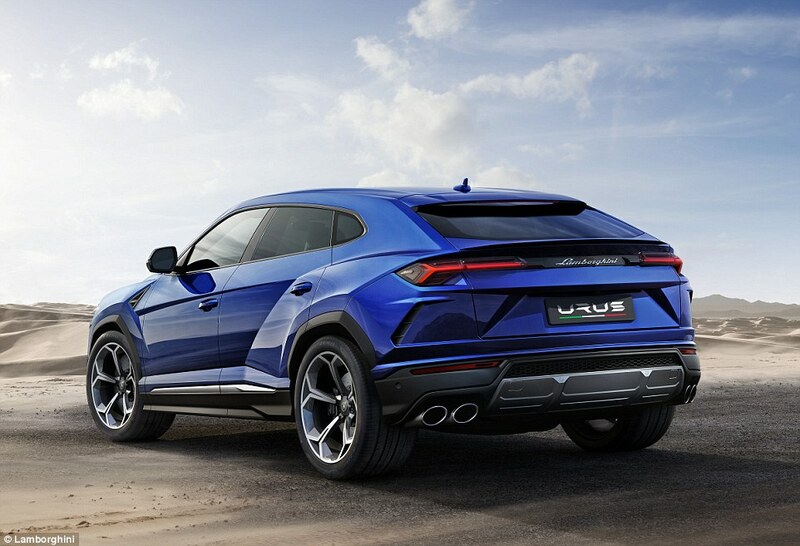 White URUS is the best!